NOTE: This campaign is a continuation of my YouCaring fundraiser, where over 60 supporters donated $6,000 between March and July of 2018. YouCaring was purchased by GoFundMe, so I had to create a new fundraising page here. 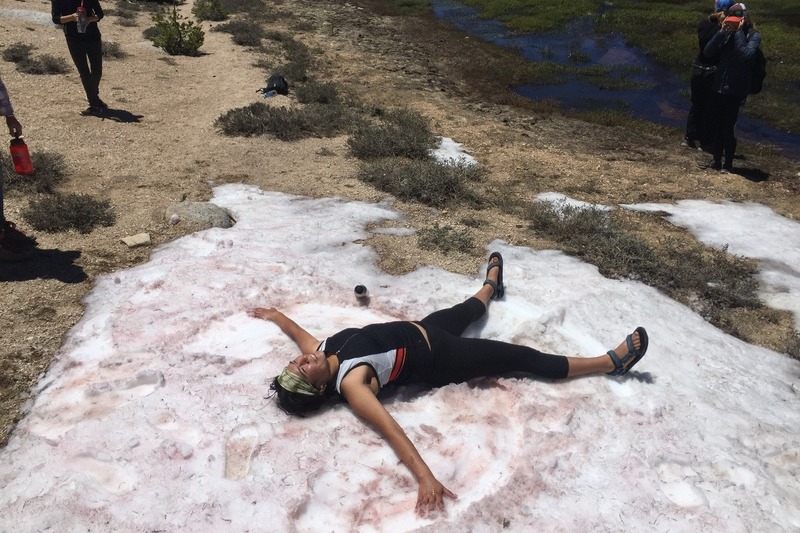 My name is Janel, and I am hiking the Pacific Crest Trail from Mexico to Canada to fundraise for three amazing women-run nonprofits that are bringing young women into nature to build confidence, creativity and community. What would our communities be like if we encouraged our girls to be more daring? How would it change their perceptions of their bodies and their right to express their opinions? How would they respond to inequality, sexual harassment and ecological destruction? What would they create? 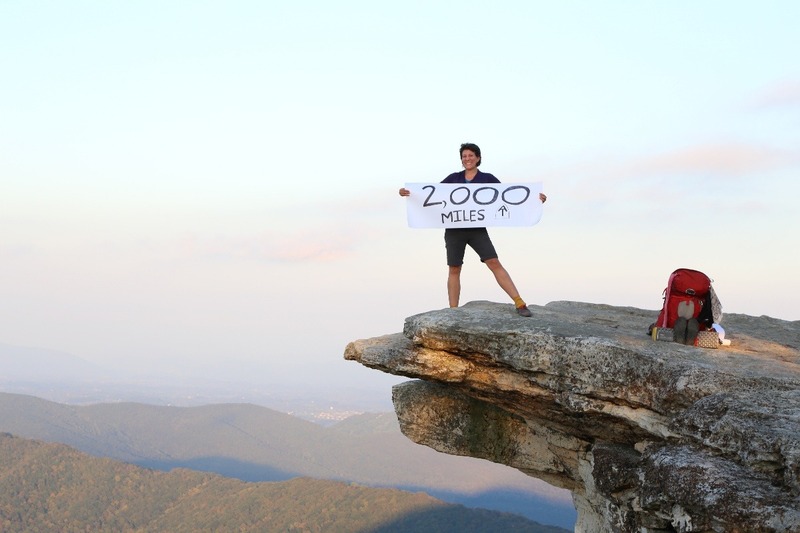 In 2016, thanks to the generous support of hundreds of crowdfunding supporters , I embarked on a solo pilgrimage of the 2,200-mile Appalachian Trail from Georgia to Maine. Thru-hiking the AT was the biggest challenge I had ever undertaken. During my journey, I learned to listen to my instincts. I learned when to push myself and when to give myself permission to rest. I learned how to grapple with fear. I gained the confidence to know that I can do anything I put my mind to. This year, by hiking 2,650 miles from Mexico to Canada, I want to give back by helping underprivileged girls to embark on their own personal transformation journeys—whether that means hiking or climbing, creating art, building a garden, committing to a dance practice, or writing every day. 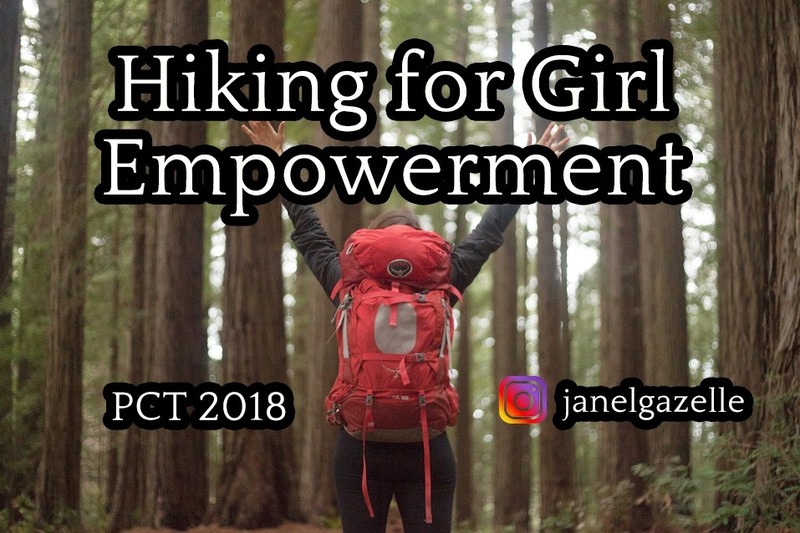 My goal is to raise $10,000 for girl empowerment organizations over the course of my 6-month hike, beginning with my first steps north on the PCT on March 25th and ending when I finish the trail in Canada in September. 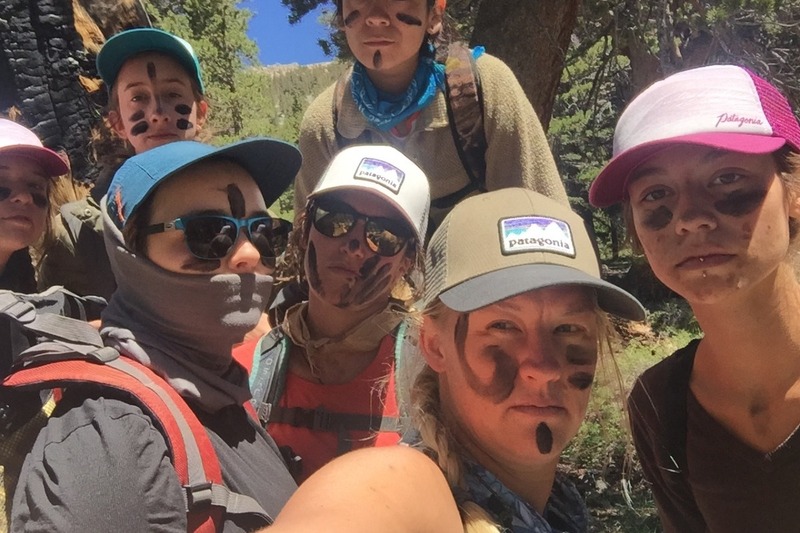 GirlVentures - facilitating outdoor adventures for middle- and high schoolers to build confidence and strengthen bonds. Gaia Girls Passages - providing nature-based mentoring through rite of passage ceremonies. The Girls Empowerment Workshop - educating and inspiring teens to find their voice and cultivate self-respect. “In the fall, we spearheaded our first free public school program at Hoover Elementary for girls of color. We are honored to work with Wanda Stewart, activist and school garden teacher at Hoover Elementary, whose mission is to reconnect people of color to the earth through gardening and nature-based education. Diversity is a priority for Gaia Girls, and we hope to continue providing this and other programs to girls of color in low-income urban neighborhoods. Your donations will help us cover the costs of the Hoover program such as purchasing supplies and paying the salaries of our Aunties (staff members dedicated to reconnecting young girls to the earth and to each other)." Thank you for your support. Together, we can make a difference in the lives of many young women. October has come and gone, so I am officially ending my PCT girl empowerment fundraiser. Thank you again to everyone who helped me raise almost $11,000 to support underprivileged young women to get outside this year. Your donation means the world to me (and to GirlVentures, GaiaGirls Passages and The Girls Empowerment Workshop). Take care and hike on! 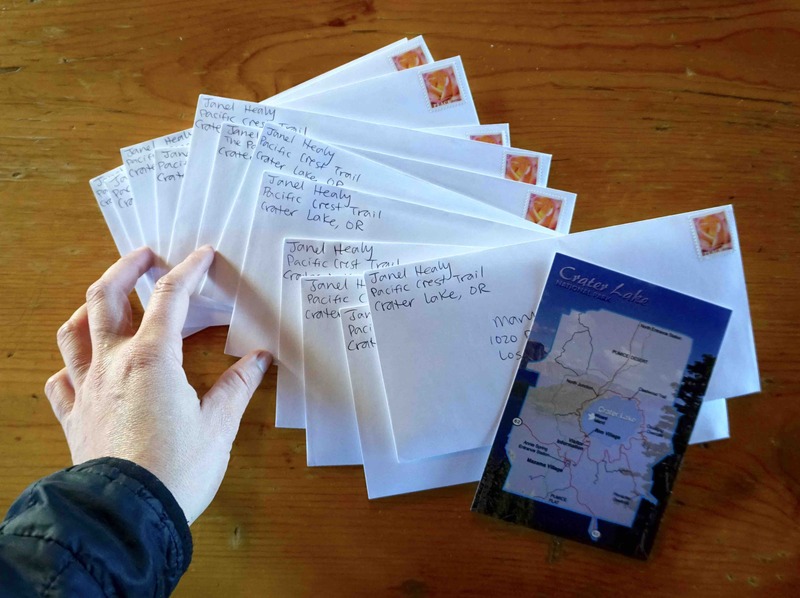 To everyone who is still expecting a letter from me—they’re on their way from the Crater Lake National Park post office! It was a joy to write them as I sat in the Lodge reflecting on everything I’ve seen, learned and experienced on the PCT this year. Thank you! Letters to donors who gave $50+ in July. I said goodbye to the Pacific Crest Trail yesterday at Crater Lake, OR just 300 miles short of my goal. Tendinitis is forcing me off the trail for now. At first, I was totally devastated. But then I thought about the girls we have now raised $9,000 for. I wondered what I would say to them if they were in my shoes. Although girls and women sometimes feel like we have to go the extra mile to prove ourselves, I would tell them it’s not worth it to hurt yourself just to prove something. So I’m taking my own advice and choosing to feel proud of the 2,350 miles I hiked instead of feeling inadequate for the 300 I didn’t. I’m keeping my fundraiser open until the end of October in the hopes of reaching that $10,000. We’re so close! Thanks so much again to each of you for your support. Your contribution made a difference in helping underprivileged girls experience the transformative power of nature.